I have been under the weather for a week got a bug. I went to the doctor and he prescribed medication. The medicine is taking its time to work. Our health is fragile and it doesn’t take much to cause problems. not a fun thing to look forward to, but necessary. houses that are not listed with the big Real Estate offices. I purchased a Spanish course called Fluenz over the internet. It arrived in a classy red box and I immediatly set to the task of re-learning Spanish. I have taken Spanish courses before in San Miguel at the Warren Hardy School, I got to level three with some great effort. I used my Spanish while in Merida Yucatan and it was no where near perfect but good enough to go shopping get a cell phone, rent a house, buy furniture, and talk on a basic level with a mechanic fixing my car. I stumbled around quite a bit, but in the end usually got through okay. I want to do better than that, I want to be high functional as they say. So that is why I am taking this course. The first level Fluenz Spanish is a quick review of the basics and it is going well from my point of view, the real test of the course is when I get into the parts of the language I am weak in and or don’t know. Then we will see how well the course works for me. So far I am satisfied with the course, there are a few little bits that are annoying, but so are some teachers and tutors. When I get back to SMA I will hire a tutor to drill me on my pronunciation, and reduce my accent. Hopefully I won’t be a bumbling gringa who needs help from english speaking Mexicans to often. I have been traveling in the RV off and on and trying to sell the ranchito. However no one has bought the ranchito and we are getting frustrated at the lack of interest in our little place. So we have made a drastic change in price to hopefully bring us a buyer and let us move on to the rest of our lives. I have also had some health issues that have complicated my life. I had a blockage that caused me months of worry and fear until properly diagnosed and now I am the proud owner of another stent in one of my heart arteries, this makes three. I also noticed that driving at night was getting more and more difficult and electric lights looked dim and yellow to me. 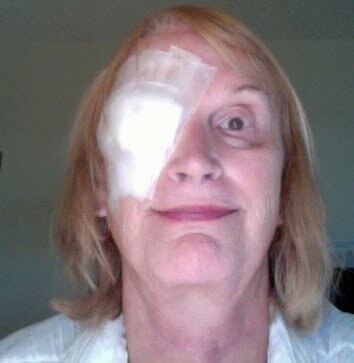 I finally admitted to needing cataract surgery and had that done just over a month ago at the Key-Whitman Eye Center in Dallas TX. I see much better now and can read some small print without help. For some print I need to use readers maybe as my eyes get stronger I won’t need them. All of that is behind me now. The stent surgery and eye surgery I went through by myself, drove myself to and from the surgeries, everything worked out fine, but I don’t recommend having surgery like that without someone there a bit too stressful. I miss Mexico and its many charms, I read the blogs and search the net for information on a daily basis and try to stay informed on the situation in Mexico. Some of the news is bleak and very sad. All the time viewing photos brings back memories of mine about living in Mexico. I am eager to return to Mexico and get about learning to live there full time. I have begun to review my Spanish and with the help of a computer program I hope to gain back what took me so long to learn. I haven’t forgotten it all, when reviewing with my books I find the knowledge of the language coming back to me and I find that a joy. At my age finding that your brain works is more than a pleasant amusement, it is a happy revelation! The computer course I am going to use is Fluenz, it looks interesting. I will post about my experience with this product. At least my brain will be, hopefully, kept busy and learning Spanish to a level that will help me become functional in its use, that is the goal anyway. My plan is to return to Mexico and search for a place to live, my first place to look will be San Miguel de Allende. This place, San Miguel, is still mostly untouched by the violence that plagues other parts of Mexico. SMA also has some of the things I find at my age to be necessary such as Cardiologists and hospitals. Sad to say, but age has its problems which must be dealt with such as cardiac disease.